FAMILY MOVIE NOMINEES... for the Annual "It's a Wonderful Movie" Awards! This year there will be 9 Voting Categories! YOU will CHOOSE the WINNERS! Poll #1: Vote for your Favorite Family Movie from February 29th to March 7th (at 12noon EST)! 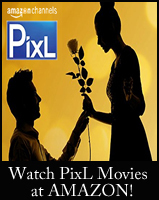 Poll #2: Vote for your Favorite Mystery Movie from March 7th to March 14th (at 12noon EST)! 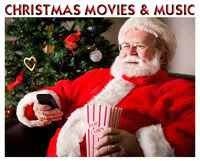 Poll #3: Vote for your Favorite Christmas Movie from March 14th to March 21st (at 12noon EST)! Please Note: the other 6 categories will take place in April! who aired these wonderful Family Movies on TV! Thank You to Everyone who Participates! Please Vote in the Poll on the right and Stay Tuned next week for the Favorite Mystery Movies Nominees!!! This is simply our way of honoring our Favorite Movies... Thank You! 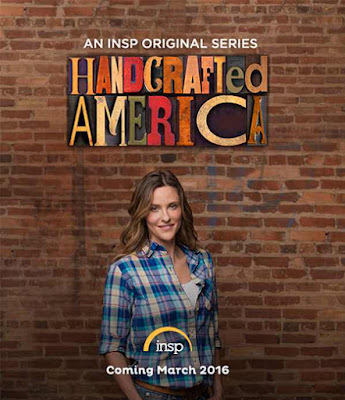 TV Reminder: New Series Premiere on INSP - March 1st with Actress Jill Wagner! "Handcrafted America" on March 1st! 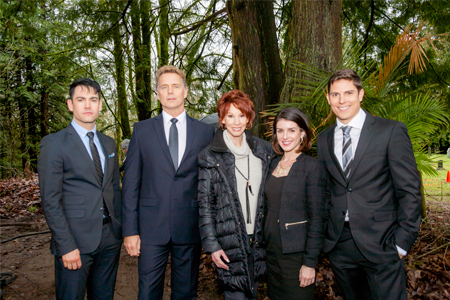 and Hallmark Channel’s "Autumn Dreams"
on INSP, Tuesday, March 1st, 2016 at 8pm/7c. Click here for more details + my review! 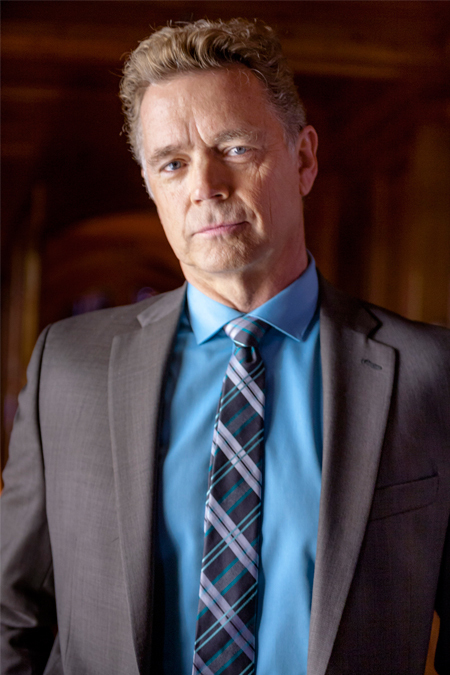 Hallmark Premieres "When Calls the Heart - A Time to Speak"
Episode: A Time to Speak - via Hallmark: Abigail is reeling after the discovery of Frank's past as an outlaw, even as Jack investigates, and Frank assures everyone he is a changed man. While Hope Valley begins to turn their back on the once beloved pastor, Elizabeth sets out to prove she's a real frontier woman, impressing Jack with her new confidence. 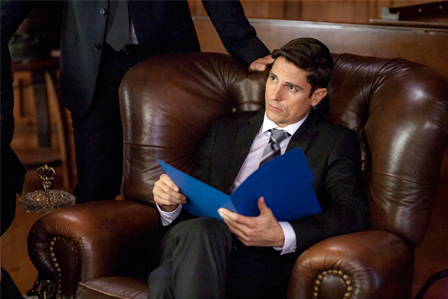 And while Bill enlists Jack's help to settle a grudge with Frank's old gang, Frank makes a drastic decision, leaving Abigail with a heavy heart before taking a surprising stand. 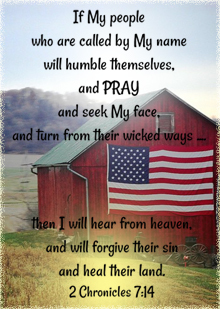 "When Calls the Heart - A Time to Speak"
February 28, 2016 at 9pm/8c. 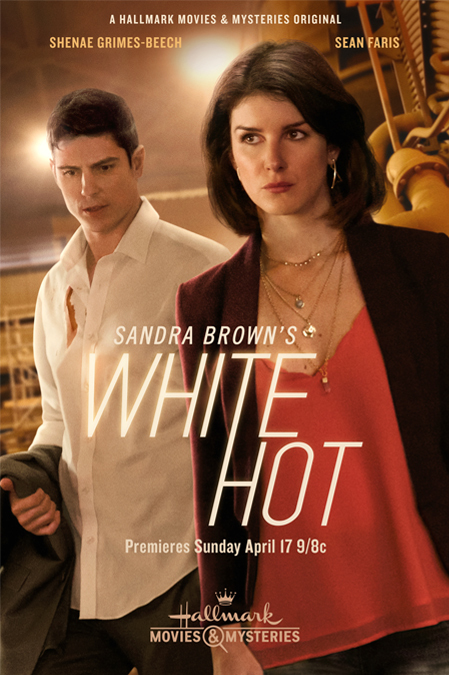 'Sandra Brown's White Hot' relates the story of Sayre Hoyle (Grimes-Beech), a single and strikingly beautiful interior designer, enjoying success in San Francisco after running away from her Louisiana hometown, where her family still resides, a decade ago. When she learns of her brother's unexpected death, Sayre returns to her small town to attend his funeral, and revisits the strained relationship she's always had with her father, Huff Hoyle, (Schneider) a corrupt factory owner who lords over his employees - and most of the town - using fear and intimidation. 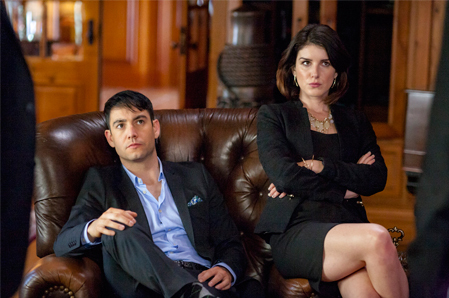 There, Sayre meets Beck Merchant (Faris), Huff's handsome attorney, who immediately takes an interest in her. Though it's widely believed her brother died from an accidental gunshot wound, Sayre soon begins to suspect foul play, and turns the town upside down when she launches her own investigation, attempting to discover the truth behind his tragic passing. Uncovering a web of dark secrets, lies, cover ups and revenge plots, Sayre struggles with family dynamics, terrifying threats and local law-enforcement officials. 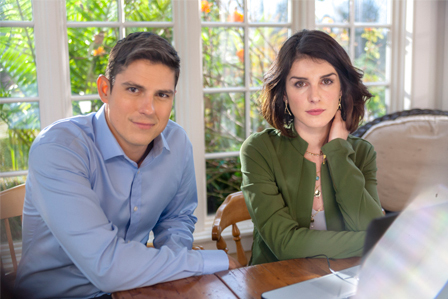 Despite becoming more and more attracted to Beck - and maybe even falling in love - Sayre remains determined to prove her brother was murdered and bring his killer to justice. Sandra Brown (center), author of White Hot, with the cast of the movie "White Hot"
The "It's a Wonderful Movie" Family TV Awards are Coming!!! Stay Tuned to "It's a Wonderful Movie" next week as the Polling begins for the "Family Movie Awards"... as we honor our Favorites from TV last year!!! Nominees will include Family TV Films featured on the Hallmark Channel, Hallmark Movies & Mysteries, UP, INSP, Lifetime, Disney, NBC, and More!!! The Awards will be a little different this year... so watch closely as all will shortly be revealed!!! 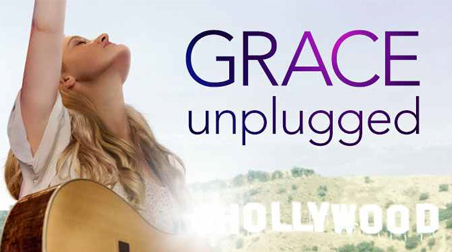 “Grace Unplugged” will make its cable TV premiere on UP. 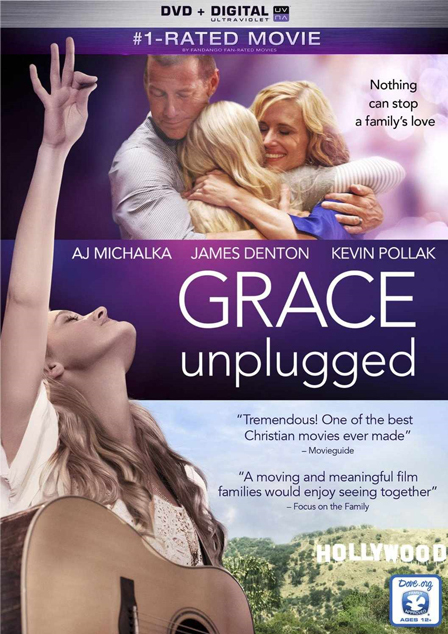 This movie is available on DVD. via UP: Musically gifted, teenage Grace (AJ Michalka) wants to do more than perform in her father’s church band. 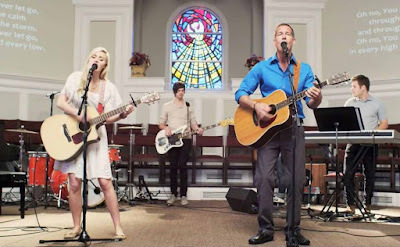 She longs for pop stardom, but her father (James Denton), a former music idol, warns her that fame often comes with a high price and that using her gift in the service of God is a loftier goal. 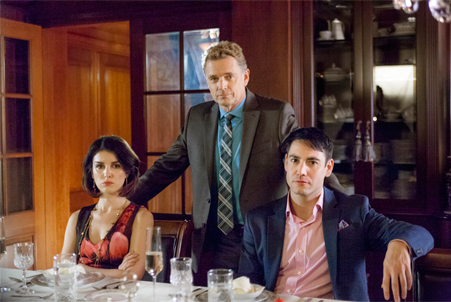 When his former manager pays a visit, Grace decides to take his offer of a shot at the big time. But, the more successful she becomes, the more she feels pressure to compromise her religious values. Hallmark Delivers Again! See Encore Airings of "Signed, Signed, Delivered: From the Heart" and "When Calls the Heart: Troubled Hearts"
Wednesday February 24, 2016 at 1pm/12c. Thursday February 25, 2016 at 7pm/6c. Tuesday March 1, 2016 at 7pm/6c. Sunday March 20, 2016 at 5pm/4c. Friday February 26, 2016 at 2pm/1c. on the BIG Premiere Night!!! 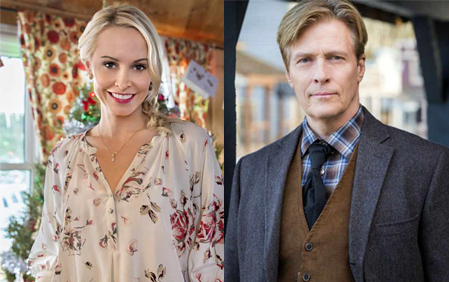 Jack Wagner & Josie Bissett will star Together in Hallmark Movie! Josie Bissett shared via Twitter... She and Jack Wagner will be filming a Hallmark movie together titled: "The Wedding March". Josie Bissett has previously starred in the Hallmark Christmas Movie, "Christmas with Tucker" and Jack Wagner starred in the mystery movie "My Gal Sunday", and currently stars on the Hallmark "family drama" TV series "When Calls the Heart". 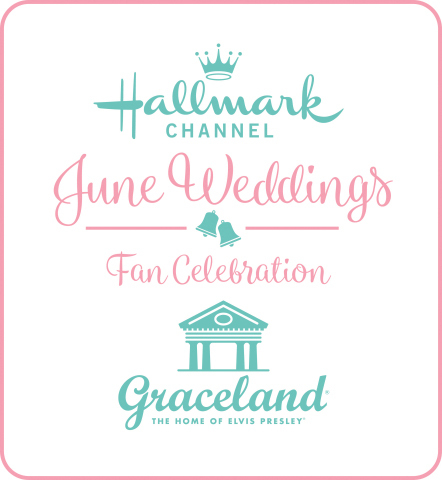 Sounds like "The Wedding March" (wt) would be a perfect fit for the Hallmark Channel "June Wedding" event! We'll see! 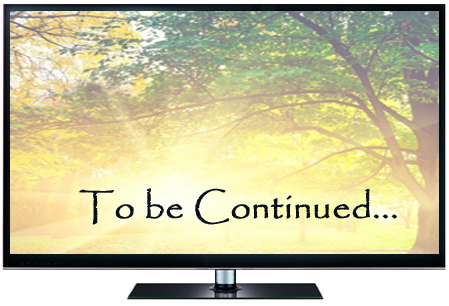 Archive: FEBRUARY 2016 Family TV Schedule. Please note: This is an Archive of the FEBRUARY 2016 Family TV Schedule. 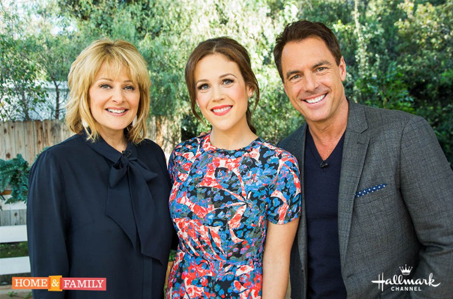 The Hallmark Channel * Sprouts * New Theme with 3 "SPRING FLING" Movies!!! *This post has been updated below to reflect all the new details on "Spring Fling"!!! 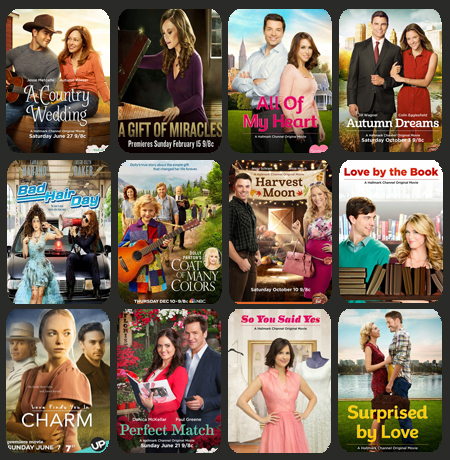 The Hallmark Channel announces... "three original movies celebrating springtime love and romance, and the fresh start the season of spring inspires: All Yours (previously titled: The Manny) starring Nicollette Sheridan, Hearts of Spring starring Lisa Whelchel, and Love By Chance starring Beau Garrett and Brenda Strong." Here are the Premiere Dates for "Spring Fling"
For those of you who follow this site closely, there was originally buzz that there would be four "Spring Fling" movies. However, as we can all see that has been reduced to three. Perhaps, that fourth movie was scratched or moved to a later date. Whatever the case, Spring will be here soon and it's always fun and fresh to have something new to look forward to! 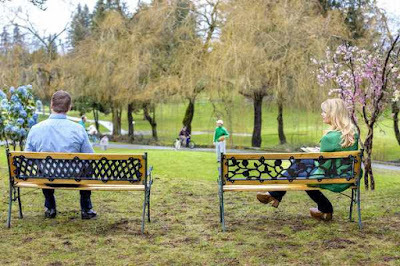 "Spring Fling" Premieres with Lisa Whelchel and Michael Shanks in "Hearts of Spring"
Click Here for additional on-the-set pics of Hearts of Spring! 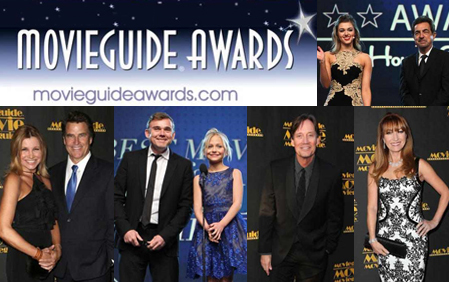 See the Movieguide Awards Tonight on TV! February 22, 2016 at 7pm/6c. at the Universal Hilton Hotel in Universal City, California. *The Coat of Many Colors is available now on DVD! 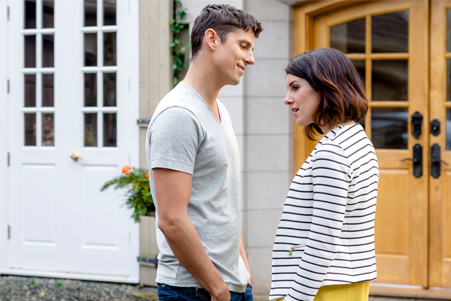 Follow Your Heart this Sunday to Hallmark... with the Premiere of "When Calls the Heart" and "Signed, Sealed, Delivered: From the Heart"
Storyline via Hallmark: "Elizabeth and Jack struggle to find time alone as their romance grows more serious. As Elizabeth makes a decision to move out on her own, Abigail learns Gowen has an upsetting new plan for her café, and Cody's misbehavior causes... Click Here to Read more..."
All fans of Jack, Elizabeth, Abigail, and all the amazing characters in Hope Valley, will not want miss this next chapter of "When Calls the Heart" as Elizabeth moves into her own home, striking a balance now between falling in love with Jack and becoming independent. 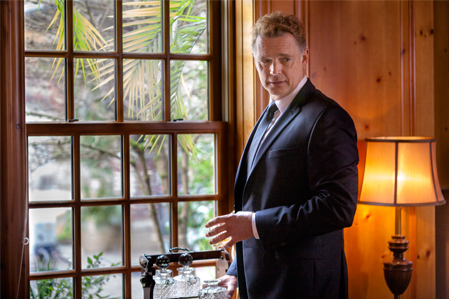 Abigail's friend Pastor Frank must come to terms with his mysterious (perhaps criminal!) past, and beware, as Mr. Gowen is once again, up to no good! Mark your calendars, set your recorders...You won't want to miss a single second! 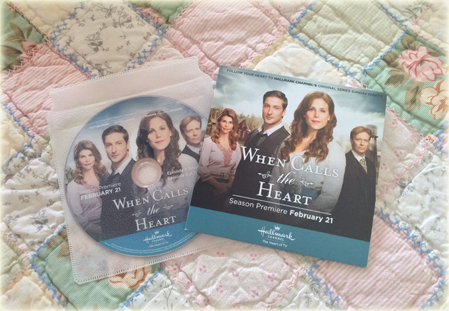 Many devoted "When Calls the Heart" fans (who call themselves Hearties!) 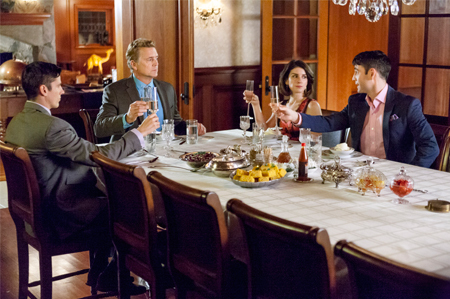 will be having Hearties Parties on Sunday night celebrating the premiere! 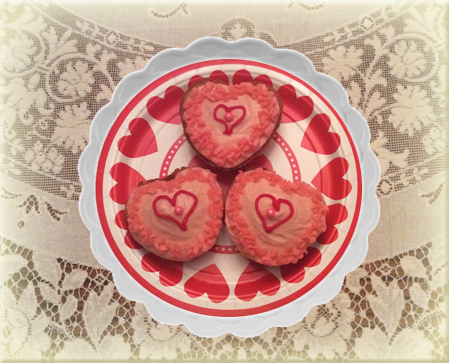 I thought I would share... these are a few of the mini Heart Cakes we made at our home... as we look forward to this weekend's premiere of When Calls The Heart! They are quite yummy, too! 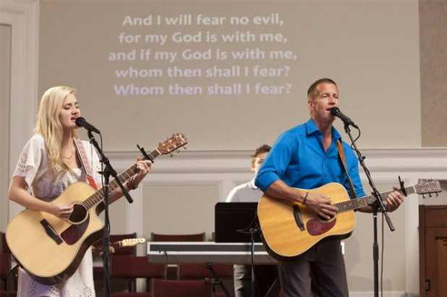 Couldn't wait 'til Sunday... we are celebrating all week!!! 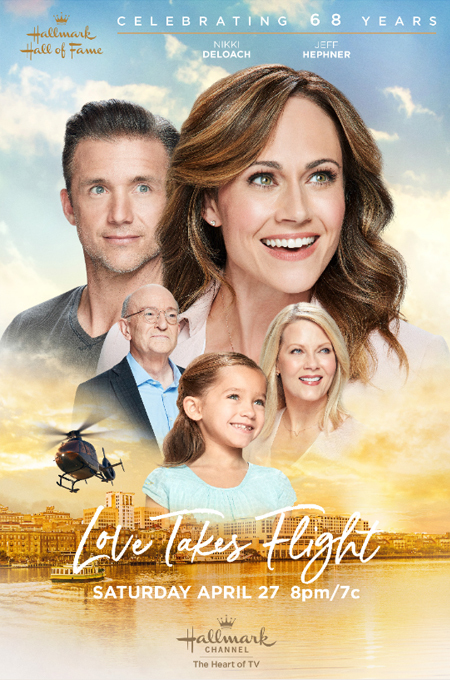 As many of you know, there is another special delivery arriving on February 21st, Sunday Night... it's the premiere of "Signed, Sealed, Delivered: From the Heart" on the other Hallmark station... Hallmark Movies & Mysteries, at the EXACT SAME TIME!!! 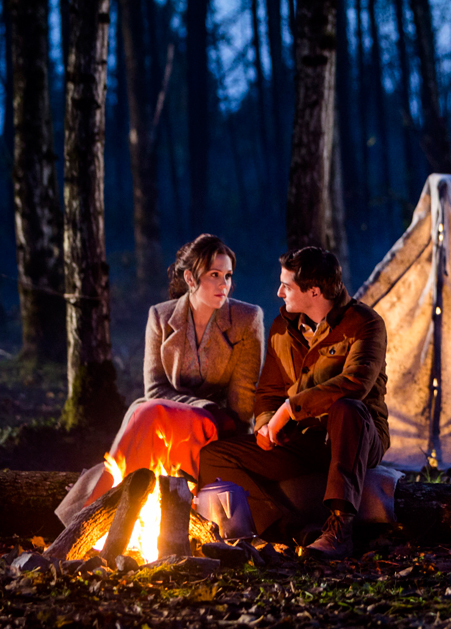 The "Signed, Sealed, Delivered" Series won my heart over, just as "When Calls the Heart" did, from the start! So, if you are a fan of both shows, a Hearties fan and a POstable, you must choose between their premiere airings on Sunday night. 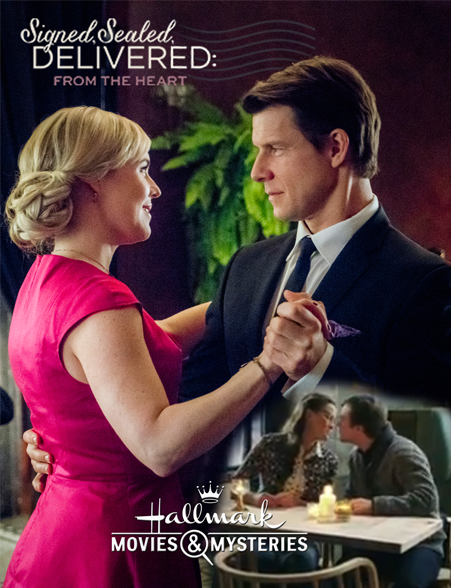 54% of you plan to watch "When Calls the Heart"
46% of you plan to watch "Signed, Sealed, Delivered: From the Heart"
I kind of expected "When Calls the Heart" to have more - since more people have the Hallmark Channel, than Hallmark Movies & Mysteries, but I know fans truly love both shows! 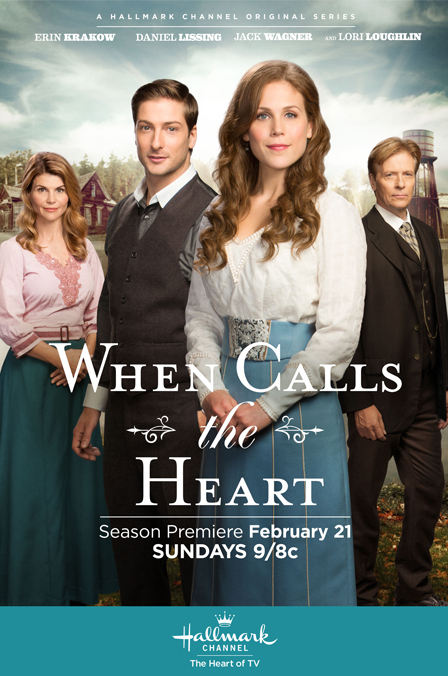 You can also join the "When Calls the Heart" celebration by live tweeting along with other fans and WCTH cast members on Sunday night, February 21st starting at 8:30pm/7:30c. 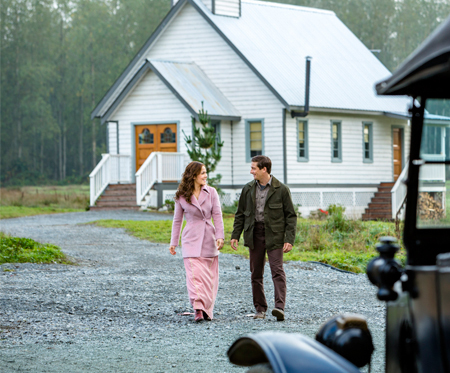 Be sure to use the hashtag #Hearties and handle @WCTH_TV when tweeting! 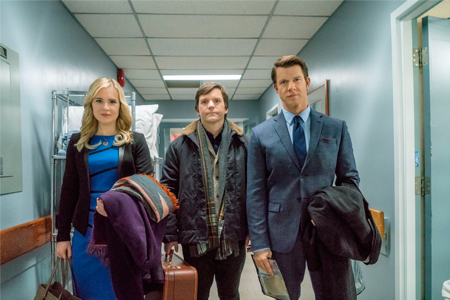 For those of you who watch "Signed, Sealed, Delivered: From the Heart", then please tweet, speak from the heart, and send love to other SSD fans using the hashtag #POstables! 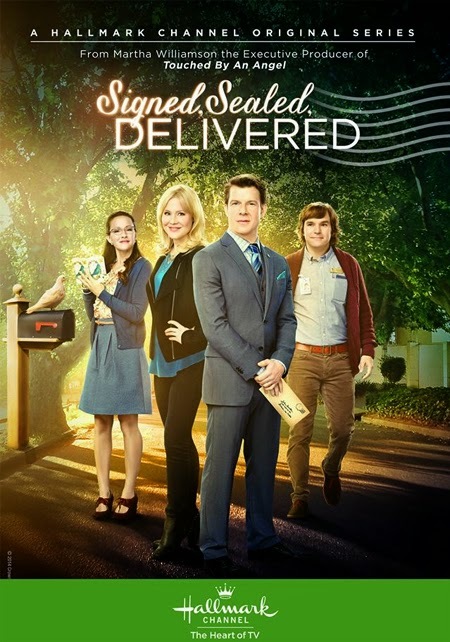 I adored this image of Oliver (Eric Mabius) and Shane (Kristin Booth)... so I just had to create a Signed, Sealed, Delivered poster of it and of course include Rita (Crystal Lowe) and Norman (Geoff Gustafson). Whatever you choose to watch this weekend - you can't go wrong. I'm sure both shows will surely warm your heart! 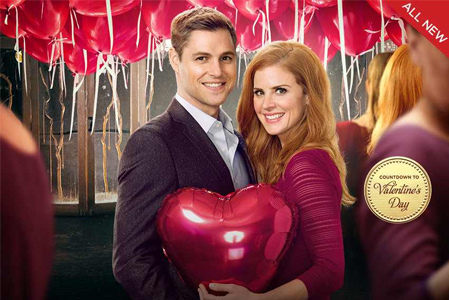 See "When Calls the Heart"
February 21st, 2016 at 9pm/8c. !